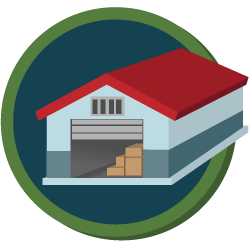 The warehouse services requires special attention. We have storage areas equipped with shelves and fixed boxes of 10, 15 and 20 m³ and crates, packaging or protections designed to preserve the contents of the goods until they are collected. Our stores are set up for storage and for the permanence of any type of furniture, small packages, medical or professional equipment, vehicles, valuable works of art, etc. All storage area are equipped with an anti-fire and anti-intrusion systems, alarms connected to a security service. If is request, access to the goods will be available for any need.